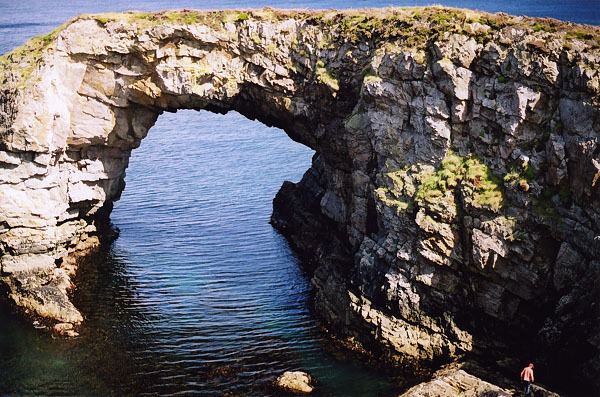 Pollet Great Arch is about 4 miles north of the small town of Portsalon, which is about 20 miles north of Letterkenny (the largest town in Donegal in the northern part of the Irish Republic). The span is estimated at 35 feet and the height at 30 feet. Notice the person at lower right for scale. Photo by Ray Millar.